Little Bird Electronics has been carrying DF Robot products from 2009 and have watched and supported the remarkable growth of this company. Some of our favourite products come from DF Robot, and they have a huge focus on quality and speed of delivery. At Little Bird, Maddy tends to put in 2 orders a week with DF Robot, and these generally arrive at our warehouse 3-5 business days later. 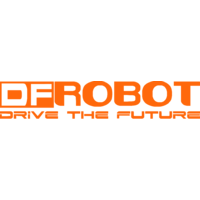 DFRobot is a world-leading robotics and open source hardware provider with a large community catering to future creators. They keep creating innovative, user-friendly hardware & software products that become the building blocks in all kinds of electronic projects and fostering a strong community of learners around it. Check out their support forum here.